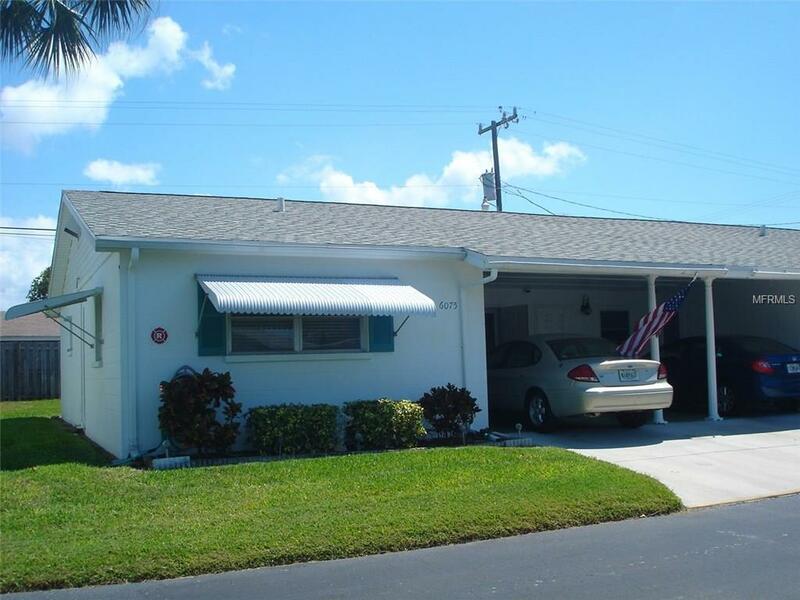 This Beautifully renovated and well maintained two bedroom villa. Full size stackable washer and dryer in unit. Master bedroom closet has been remodeled and second bedroom has floor to ceiling shelving on one side and great storage. Updated kitchen cabinets with pull out drawers. Offers taste of old Florida charm with the convenience of shopping, transportation, airport, restaurants and much more! Short drive to World Famous Sandy Gulf Beaches! Turn key furnished. Walk in and fall in love with this home. Quiet youthful 55+ Community with heated pool, Community Club House with active Social Club. Don't wait to see this gorgeous villa! So come and retire in style.